CCEDNet has joined Together 2030. We previously were members of Beyond 2015 that had promoted people-centered sustainable development for the Sustainable Development Goals (SDG) that were adopted at the UN in September 2015. 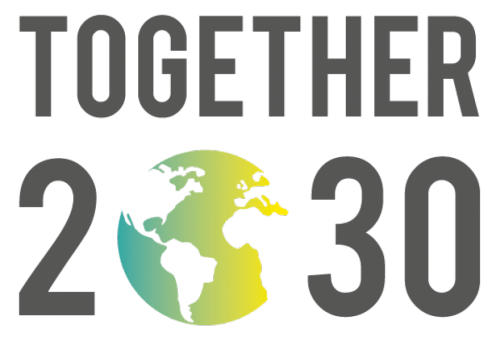 Together 2030 is a civil society initiative that promotes national implementation and tracks progress of 2030 Agenda for Sustainable Development. We aim to generate knowledge and project voices from different civil society and stakeholders around the world on the challenges and opportunities for the 2030 Agenda. We bring together actors to discuss the way to formulate and implement roadmaps at national level and hold governments to account at all levels. The 2030 SDG’s are universal in nature. All countries, including Canada, need to go forward on all the 17 Goals. For CED, the SDG’s are important since they promote lifting people out of poverty, gender equality, rights of indigenous peoples, sustainable cities, etc. Climate change and reducing inequality are also very important. We want Canada to adopt a sustainable development strategy involving all stakeholders, including civil society and all levels of government. This strategy for implementing the SDG’s must consider what must be done in Canada, and in the world. For example, Canada must commit the equivalent 0,7% of GDP to international development so that all countries can achieve the SDG’s. CCEDNet intends to be part of this process in Canada, and in the world.